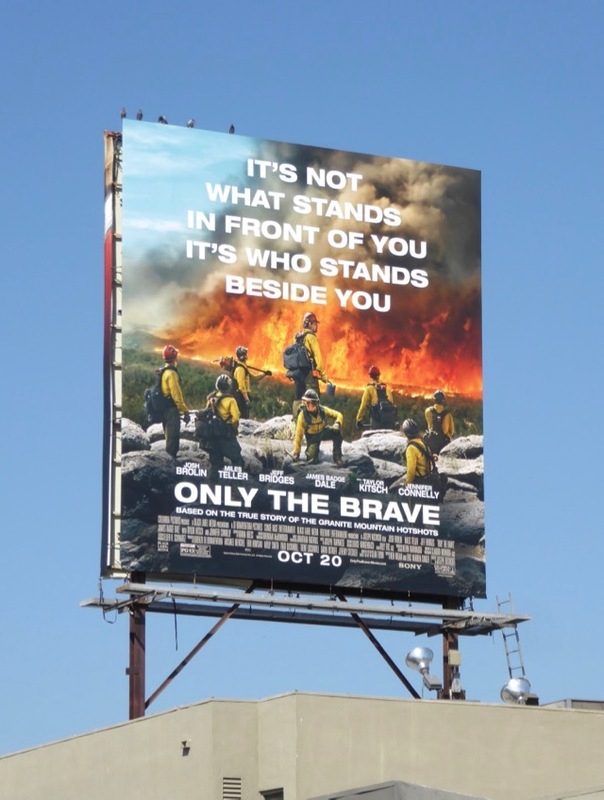 With firefighters hopefully finally getting the devastating Northern California wildfires under some semblance of control, these movie billboards for Only The Brave seem even more poignant and timely in the L.A. city skyline. 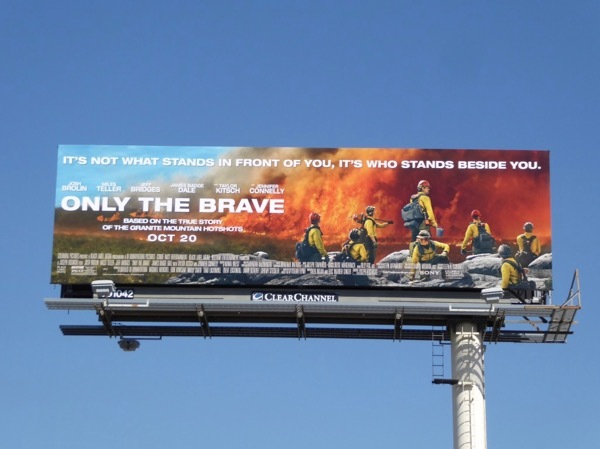 This biopic chronicles another infamous fire and the elite firefighters that fought it, The Granite Mountain Hotshots. 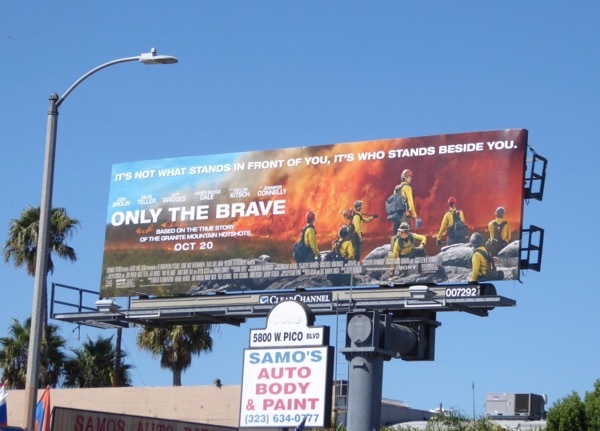 The film is inspired by the true story of the crew who battled the historic Yarnell Hill Fire in Prescott, Arizona in June 2013, which claimed the lives of nineteen of their number in their efforts to save a town. 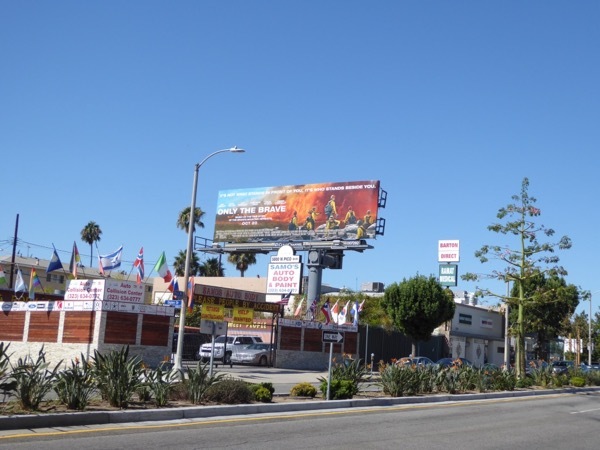 These movie billboards were first snapped along Pico Boulevard on September 24, then spotted later above Beverly Boulevard and La Brea Avenue through October 5, 2017. 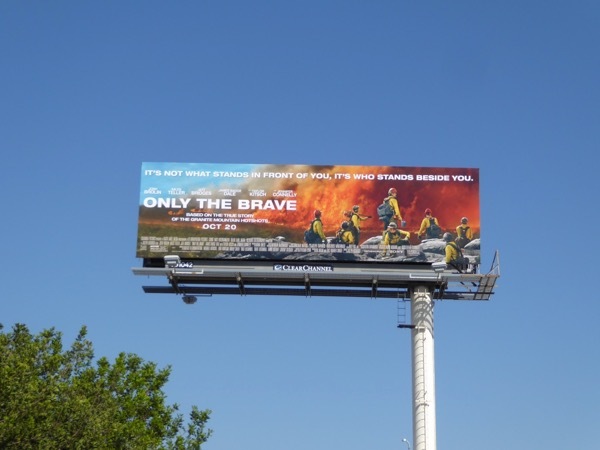 For more firefighting drama, make sure you also check out these Chicago Fire TV billboards. 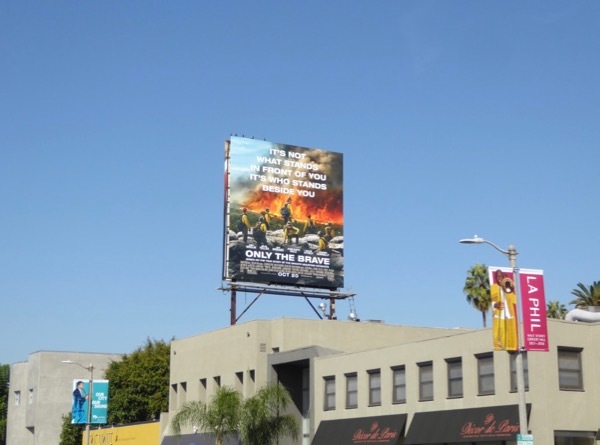 With all the droughts, hurricanes and floods we've endured of late it's time for everyone to wake up to the fact that these 'once-in-a-lifetime' events will be our future if we don't act now and act fast to prevent more damage from global warming and encourage our elected officials to do what's right to save our planet.